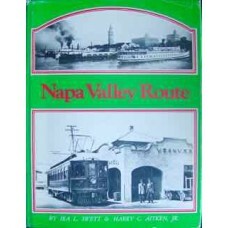 Describes the railroads in the Napa Valley which began in 1905. 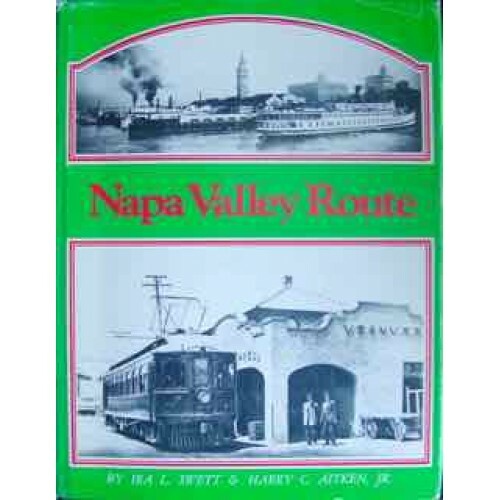 It covers the Vallejo, Benicia & Napa Valley Railroad Company; The San Francisco, Vallejo & Napa Valley Railroad Company; The San Francisco, Napa & Calistoga Railway Company; The San Francisco & Napa Valley Railroad Company; and the steamers. The book contains photographs, illustrations, a map, and appendices. Maps to endpapers. Good Condition.